Amador Fire Station 122 is located in Plymouth CA, 11 miles North of Jackson off Highway 49. At an elevation of 900 feet. Station 122 is staffed year around with paid staff and volunteer’s with Engine 5221, Engine 5222 and Watertender 5223. 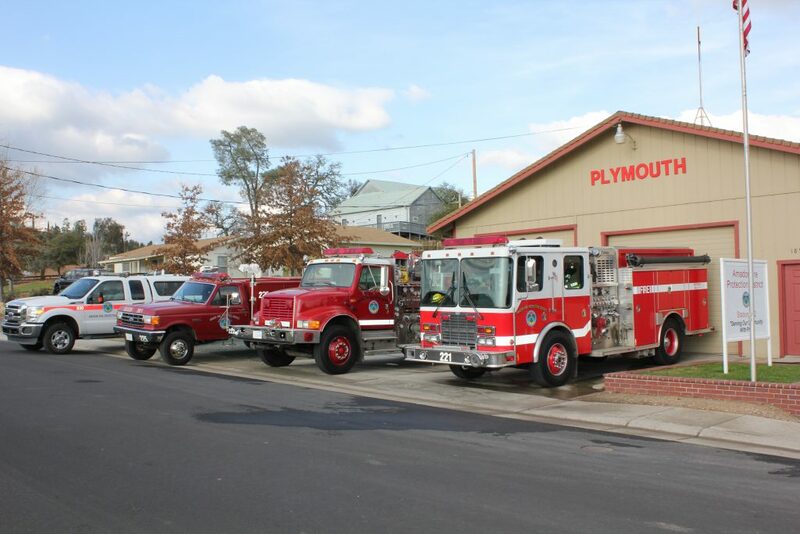 The City of Plymouth Contracts for services with Amador Fire Protection District (AFPD). On November 9, 2010 a 20 year extension was signed under the same terms that AFPD agreed to provide all fire protection, fire suppression, and emergency response. Station 122 is the main station in the City of Plymouth and is staffed year around with paid personnel and backed by volunteers, with Engine 211, Engine 221, Watertender 236, and Squad 225.